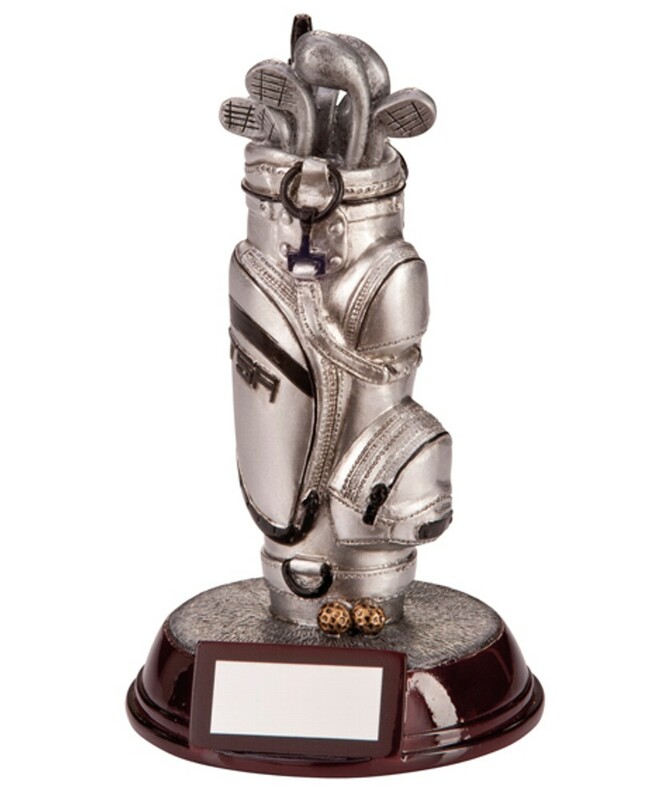 Resin Augusta Match Play Golf Bag Trophy. 165mm high, resin 3D golfers bag award and clubs, mounted onto a resin heavy base. Silver bag with black detail.